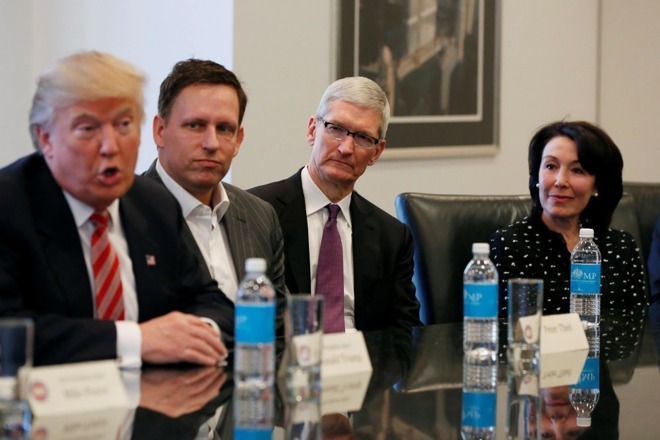 Tim Cook and Jeff Bezos are part of the technology week arranged by the Trump administration. They will meet with President Trump to discuss how the government can begin to cut waste and improve other services. The administration is of the view that there is an ‘economic opportunity’ to save around $ 1 trillion over the next ten years. The administration is hence seeking the advice of the biggest technology leaders on the best ways to reduce spending through innovative tech methods. The methods already being considered for this purpose by the administration include cutting government information technology costs, reducing government costs through improved IT services, leveraging government buying power, and reducing fraud across government agencies. The executives are eager to work with the government in this regard. Topics for discussion also include the United States work visa program. This topic has been the source of a lot of debate for a while now as it affects tech companies that are trying to hire foreigners. CEOs will discuss issues with Vice President Mike Pence, Treasury Secretary Steven Mnuchin, White House senior adviser Jared Kushner, and White House official Chris Liddell before meeting Trump. After Trump decided to withdraw from the Paris climate accords, many tech leaders took the decision to withdraw them from the White House’s various advisory councils. In a statement the White House said that these withdrawals had not affected the meeting and it will still take place. The meetings will take place in full swing till Thursday when this ‘Technology Week’, as the White House likes to call it, will end.